Are you ready for a real challenge? 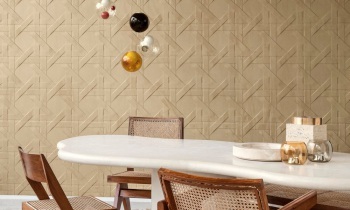 Arte’s new 3D collection conjures your walls into a real spectacle. 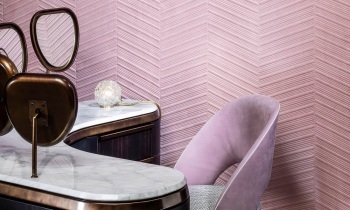 With this daring wallcovering you create depth, which results in an optical illusion. And this is done in all kinds of styles from a plain play of lines to the look of antique panel doors. Arte’s team of designers is continually searching for patterns and colours that match the spirit of the times. 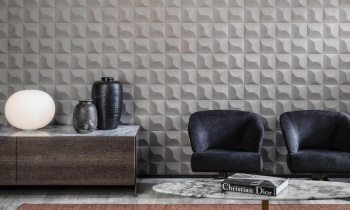 After the Enigma, Eclipse and Intrigue collections, Arte has once again embarked on a new 3D wallcovering venture called Spectra with harmonious patterns and colours that can find a place in any interior. The combination of the 3D relief, the pattern and the colour always has a balanced look. When producing the 3D collections, Arte uses an innovative technique: thermoforming. By means of heat, a form is pressed into a material that remains visible after it cools off. Thanks to this technique, a clear relief is created that gives a 3D effect although the material remains supple and soft. Spectra also has the soft look of suède, which increases its cuddliness. 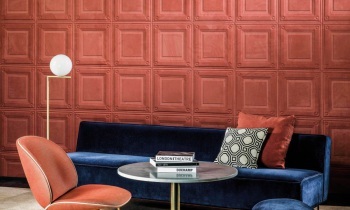 It is also handy that the wallcovering has a positive influence on the acoustics in the room. That is not only an advantage for your comfort but also for the application possibilities. Thus, Spectra can also serve perfectly for ceilings or partitions. WickerworkWith Cannage your walls appear to have been braided. There was a reason for naming the design after this craft. The typical wickerwork of chair caning is very recognisable. The complicated, layered lines capture your attention. The technique reminds one of natural materials such as rattan or reed. Parquet on the wallAre you a fan of wooden floors? With Parquet the beauty of wood does not have to be limited to the floors. With its form and texture, the wallcovering creates the same luxurious effect as your dream floor, but this time the wood-look gives a stylish touch to your walls. The refined zigzag pattern makes the results lively and playful. Tiles on the wallWith Carrelage you do not have to do major remodelling to put tiles on the wall. As the name suggests, this design comes very close to authentic tile work. The varying pattern brings the three-dimensional look into your home in a playful manner. Antique charmsIn the warm, charming design of Caisson you clearly recognise a typical antique panel door. The style reminds one of old British libraries. An ideal pattern to be developed in 3D relief. Caisson already existed in the Intrigue collection, but it was given new colour variations in the Spectra collection. 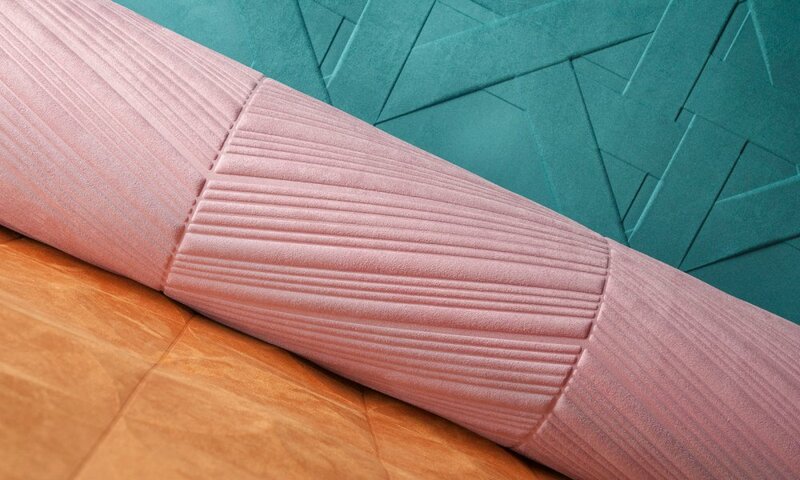 The textile used is also different: whereas with Intrigue the design has a smooth, silky feeling, with Spectra it is given the smooth and soft look of suède.